No matter how crazy schedules might become, there's always time for pancakes. Last weekend we were inspired by an episode of the Sopranos to make "Johnny Cakes." 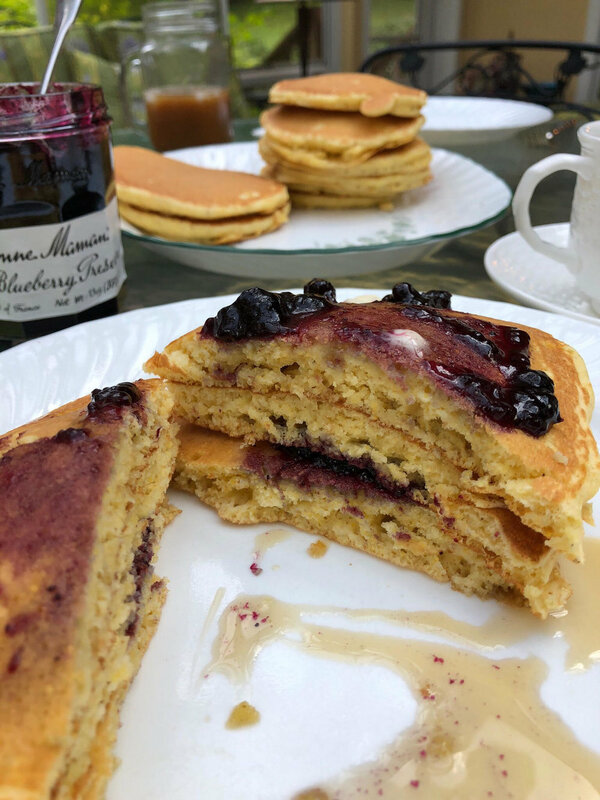 They're pancakes but use a mix of flour and cornmeal, which gives them a wonderful texture (think delicate corn muffins) and depth of flavor. Summer in the countryside calls for fruit with every meal, and we smothered these buttery cakes in blueberry preserves. 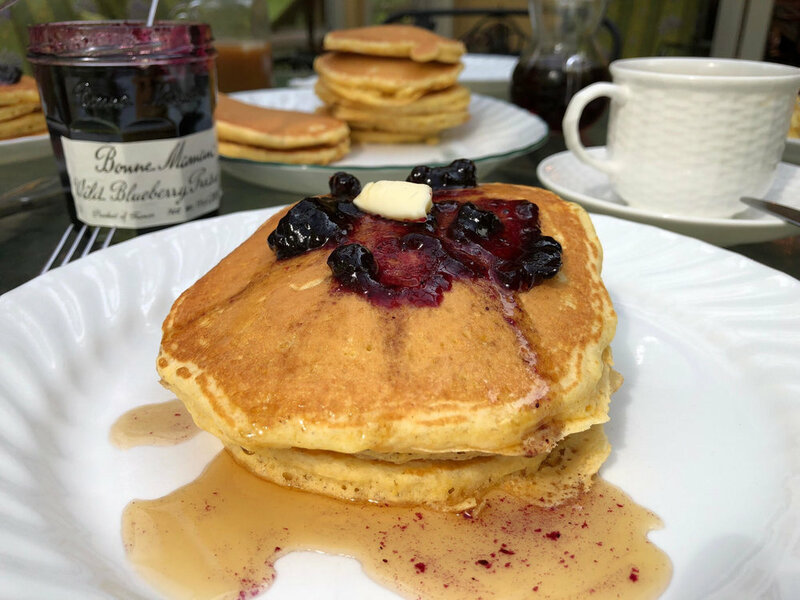 The original plan was to make our own blueberry syrup, but we opted for a jar of preserves instead, and fully embraced our (unusually) lazy Sunday. Mix together the cornmeal, flour, sugar, baking powder and salt in a bowl. In a separate bowl, mix the milk, vinegar, vanilla and eggs. Pour the milk mixture into the dry ingredients, stirring gently. Stir in the melted butter. If the batter is overly thick, splash in a small amount of milk. Heat 1 tablespoon melted butter in a skillet over medium-low heat. When hot, drop in 1/4 cup batter per pancake and cook until golden brown on both sides, about 2 minutes per side. Remove from the skillet and keep warm. Continue with the remaining batter, using more melted butter as needed.